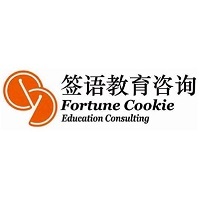 Fortune Cookie Education Consulting, Ltd. is a premier education consulting firm based in Ningbo, China. Our team comprises of both Chinese and American experts, with strong academic records and career experience in both countries. Our experienced consultants, collaborative process, and interaction with schools and colleges enable us to guide our clients along their unique path to find the right educational match. We are passionate about employing our wide-reaching expertise to cater to each student’s individual needs and goals.